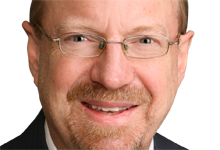 Income-investing expert Roger Conrad has covered utility stocks and essential-service companies for more than two decades. With Conrad’s Utility Investor, you can put Roger’s wealth of experience to work for your portfolio. It’s true that utilities and other providers of essential services don’t operate in the sexiest sectors, but as any savvy investor knows, these companies do the heavy lifting for the nation and the world. They deliver the services that make the rest of the economy run. Try launching a biotech start-up without reliable electricity. Where would the Internet Revolution be without the “boring” phone and cable companies that provide bandwidth? These are the pick-and-shovel suppliers of the Digital Gold Rush. They’re also the companies building smart grids and pushing our country toward energy independence. Boring indeed. Roger Conrad has committed his entire professional life to uncovering the best investment opportunities in the utility sector–not out of commercial necessity, but out of desire. Roger loves the industries he covers and never stops digging, never stops learning. What’s more, Roger has never strayed from his mission of delivering the best stocks for investors seeking reliable income. In the 1990s, when growth became the new income, Roger focused on helping readers build wealth through resilient dividend-paying stocks. And when speculative income plays came into vogue, Roger remained committed to highlighting high-quality companies that pay growing dividends–and can sustain them over the long term. Investing fads aren’t where real long-term investors make their money–they’re where suckers lose their money. Smart investing. Taking advantage of real opportunities and not fads (and knowing the difference between the two). Finding the companies and stocks that will deliver for the long haul—investments that will let you live the life you want instead of taking over your life with worry and uncertainty. Roger Conrad has dedicated his career to these principles–and that’s what Conrad’s Utility Investor delivers. Conrad’s Utility Investor is the culmination of Roger’s career. It’s an investment resource that he built from the ground up and includes all the features he thinks are critical to investors that already own utility stocks and those who are just starting to invest for their future. Simply put, Conrad’s Utility Investor is the best investment guide for any investor looking to find the best essential services stocks. The bedrock of the publication, the Utility Report Card includes Roger Conrad’s assessment of 200 essential-services stocks, vital statistics and proprietary Quality Grades to help investors gauge the risk associated with each name. This exhaustive due diligence underpins model Portfolios for aggressive and conservative investors, as well as his Endangered Dividends List, which spotlights troubled names that could be at risk of cutting their payout. 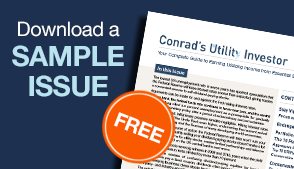 Every issue, every weekly update and every stock pick in Conrad’s Utility Investor has almost 30 years’ worth of work behind it–a wealth of knowledge and experience that you won’t find anywhere else. 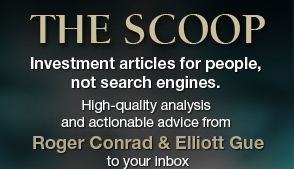 Subscribe to Conrad’s Utility Investor to receive instant access to this treasure trove of profitable information and analysis.